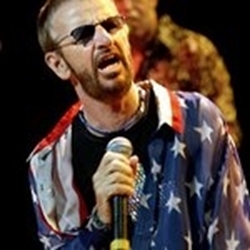 Help Ringo Starr Support The George Harrison Fund For UNICEF . Beatles Radio: The Beatles, Solos, Covers, Birthdays, News The Fab 4 and More! This giving season, Sir Ringo Starr is asking UNICEF supporters to join him in supporting the George Harrison Fund for UNICEF. As little as a $10 donation can make a big difference to children in need. To show your support — and help Ringo spread positivity and honor George’s memory — donate now, then add the Ringo and Me Facebook frame to your Facebook profile picture — and tag your friends! In 1971, George Harrison organized the Concerts for Bangladesh because his friend Ravi Shankar asked him for help. Today, the George Harrison Fund for UNICEF provides lifesaving assistance to children caught in humanitarian emergencies around the world. Ringo will be honored with the Humanitarian Award from the George Harrison Fund for UNICEF on November 27, 2019 at their annual Snowflake Ball in New York City.